You will receive emails about new articles. "The Very Hungry Caterpillar: by Eric Carle invites children to create a colorful fruit salad with the fruits that the caterpillar eats through the week. 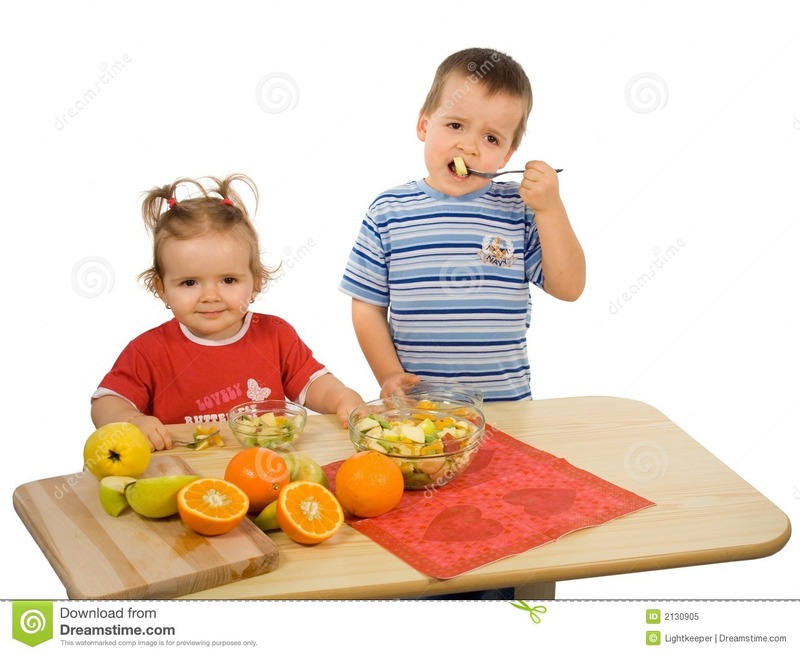 Children, girl and boy, eating fruit salad (isolated).